Knowing which questions to ask can help you make an educated decision when comparing between the leading website builders on the market. Choosing the right website builder is an important decision that can be made with confidence if you have the right information. It’s essential to compare the best website builders on the market to see who fits your specific needs. What are the key factors that you should consider when picking a platform to help build the site of your dreams? Let’s take a look. The first choice you’ll have to make when choosing a website builder is whether you want to go for the full DIY experience or if you need a little bit more professional help and want to opt for the DIFM, or do-it-for-me, model . 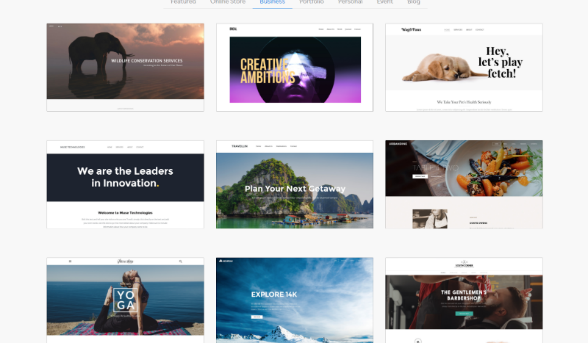 The top DIY website builders, such as Wix , SiteBuilder and Weebly let you pick a website template or theme and customize it using a drag-and-drop editor. There is no need to know how to code or have any web design experience. The upside of the DIY website builders is cost. You’ll have to invest a little bit of time and energy into designing your site, but you can build a DIY site for free, or as part of a plan that will cost you anywhere from $5-$30 a month. Building your site with a DIFM website builder, such as Web.com, Hibu , or Deluxe, will cost you more, but you’ll have professionals designing your website for you. With a DIFM site, the website builder’s design team will ask you some questions about your site’s purpose and your style preferences and create your site for you in a week to 10 days. This will include all the aspects of your website, including content and SEO maximization. DIFM builders will build your site for free, but only on condition that you sign up for a plan that will cost you more than $100 per month at minimum. This expense may be justifiable for someone starting a business that doesn’t have time to deal with a DIY drag-and-drop editor. DIFM plans vary from site to site depending on your needs, and you’ll have to call the website builder to get a quote. In general, building a website with a DIFM builder will cost you anywhere from $1,200 to $2,500 per year, depending on your needs. You’ll be on the higher spectrum of that range if you want to sell products and accept payments on your site. DIY website builders, on the other hand, offer a tiered pricing system in which you receive more features as your tier goes up in price. The leading website builders don’t differ too much in their tiered offerings as the chart below demonstrates. These companies offer free plans, that are essentially extended free trials in which you can build your site and even take it live. However, you’ll have limited storage space and bandwidth, and you won’t have your own unique URL address, which is essential for any serious website. You can use the free plans to try out the various website builders, but keep in mind that you’ll eventually have to opt for a paid plan if you want your website to be more than just a trial site. So, what are the differences between the various pricing tiers? If we look at Wix as an example, it offers an extra low tier plan in which you can connect a domain that you’ve already paid for to your Wix site. This costs only $4.50 per month, but the site will still be very limited, with Wix ads and very little storage and bandwidth. Plus you have to factor in the cost of the domain, which is about $15 per year. The next tier up costs $8.50 per month, and Sitebuilder.com, ​GoDaddy and Weebly have equivalent plans for just about the same price. This is realistically the minimum viable tier for a serious personal website. It includes a free domain, a decent amount of storage and bandwidth, no Wix ads and $75 in Google ad vouchers. If you are an entrepreneur or organization starting a website, then you may want to go up to the next tier, which costs $12.50 per month. You get everything you get in the previous tier, plus a lot more storage and bandwidth, a free form builder app, so that you can collect contact info or provide support directly from your website, and a free site booster app that helps drive more traffic to your site through Google and other directories. For businesses that want to sell goods online, the next tier, which costs $16.50 a month, gives you all of the functionality of an online store. Wix also has an extra VIP tier that is $24.50 per month, which adds a review by professionals to ensure your site is maximized and 10 free email campaigns to help with marketing efforts. In order to choose which website builder has the best plan for you, consider which type of site you have, and compare the pricing in that tier at each of the major builders. If you are willing to invest more in your site and decide that DIFM is the way to go, then you’ll have to call the builders who offer this service to see who gives you the most attractive quote. Beyond price, a major factor in helping you choose between the top website builders is how easy they are to use. Wix, Sitebuilder.com, GoDaddy and Weebly all have a similar method by which you build your own website. You choose a template that you like best and fits the subject matter of your site, and then you customize it using a drag-and-drop editor that doesn’t require you to know any code. 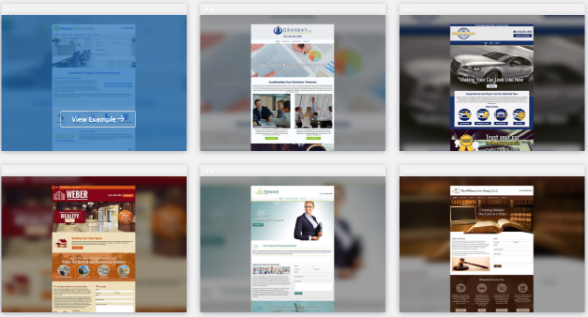 Having a look through the templates that the various website builders offer can help you determine which one you want. All of these website builders offer intuitive drag-and-drop editors which are pretty similar. By giving your name and email address you can sign up to use the editors for free and play around with building your site. You can have your site built and live in less than a day. 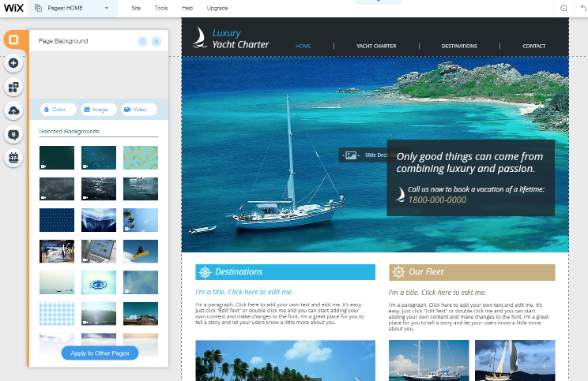 If you find using a drag-and-drop editor difficult or too time-consuming, Wix offers a unique feature called Artificial Design Intelligence (ADI). ADI asks you a few short questions about the nature of your site and your style preferences and then creates a site for you based on this information. ADI will prompt you to make further changes to the site if you are unhappy with the style it chose for you, or you can switch to the drag-and-drop editor if you want to make changes yourself. It is unique technology for those who want the savings of a DIY builder, but may be a bit uncomfortable with computers. The outcome won’t rival what you would get from a DIFM website builder, like Hibu, but you will be paying hundreds of dollars less per year. 1) Do you want to build it yourself, or have someone else build it for you? 2) What features do you need for your website? The answer to the first question will tell you whether you want a DIY website builder or a website on the DIFM model that a professional will design for you. DIY websites offer a great cost advantage, while DIFM builders save you time and energy. The answer to the second question will give you an idea which pricing tier you should be looking for when comparing plans. Is your site personal, professional, or an online store? Once you know that, you’ll be able to better compare the offerings from the various website builders.